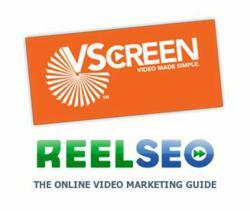 ReelSEO.com and VScreen have teamed up to help companies both create YouTube marketing strategies, and produce the videos needed to help their social media video marketing strategies become a reality. YouTube is now the world’s 2nd ranked search engine (and website) next to Google, and trumps its competitors by making up over 84% of video search results. The nation’s leading consultant on YouTube marketing and video search engine optimization has teamed up with VScreen, an Orlando video production company located on that backlot of Universal Studios Florida. Officials at VScreen announced today that Mark Robertson, founder of ReelSEO.com has joined their efforts to meet a critical and growing need in the video marketing industry. Robertson, a veteran video SEO and YouTube marketing consultant for numerous Fortune 500 companies, has become a mainstay in VScreen’s widening of its offerings to include packages that bundle video marketing services, with custom video production as needed.